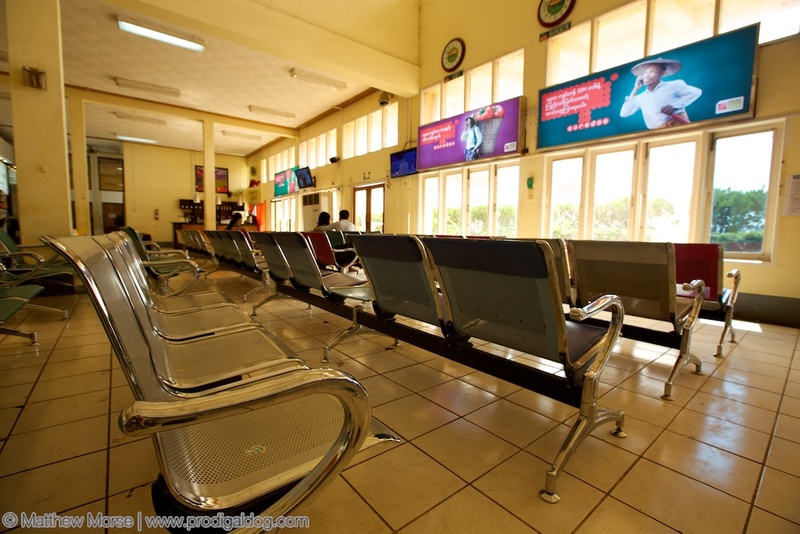 In our “Travel Tips”, we will explore some of the most common questions and challenges facing travelers abroad. 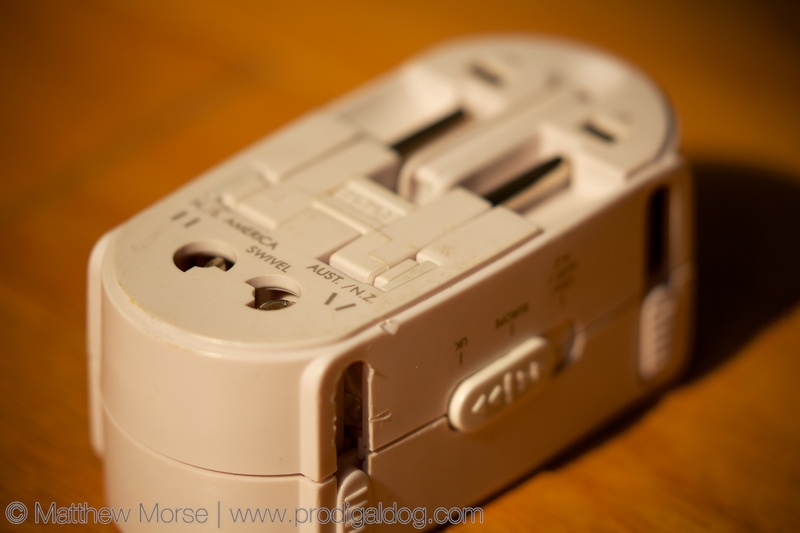 One of the most frequent stumbling blocks for traveling overseas is figuring out the electricity abroad and how to charge and power one’s various gadgets, ranging from laptops to camera chargers, iPhones, Kindles, iPads, hair dryers, video games, and the list goes on and on. Rome is the most photogenic city I’ve ever seen. The city is practically littered with historic sites, ancient ruins, and ornate churches. And that doesn’t even include Vatican City. You can’t go wrong sightseeing in Rome, but there are some lesser known landmarks that are easy to miss. The city is most known for the Colosseum, the iconic Roman Forum, the Parthenon, or its many ornate public squares and fountains, but there are many other gems in the city as well. 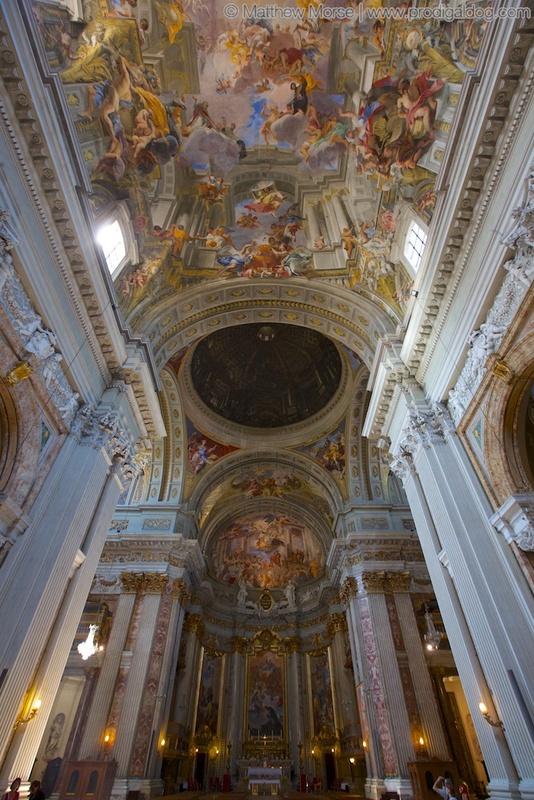 This post will focus on just one of them: the Church of St. Ignatius (Sant’Ignazio if you parli the Italiano). 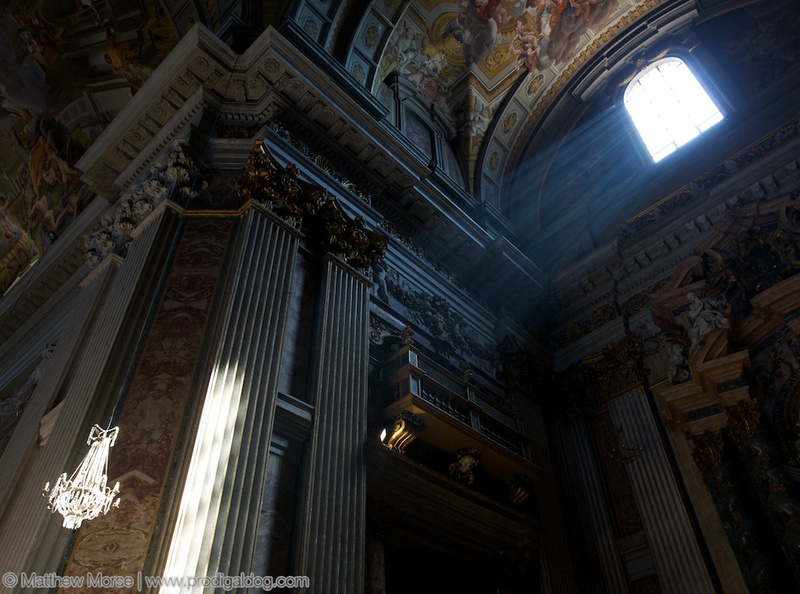 Of course, many of Rome’s churches are beautiful, but this church’s most fascinating feature is easily missed. The fact that it’s easily missed, in fact, makes it even more fascinating. You’d probably even miss it if you were sightseeing in Rome and didn’t know what to look for. 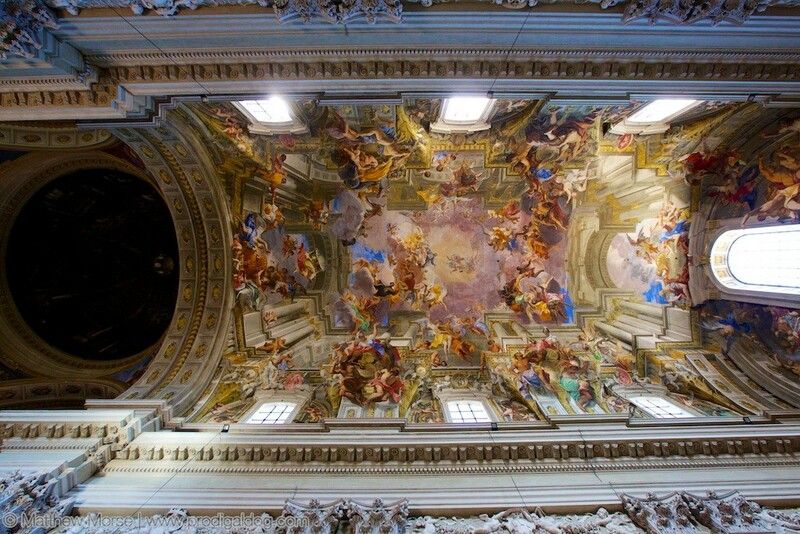 Believe it or not, the church in the photos above has no dome. 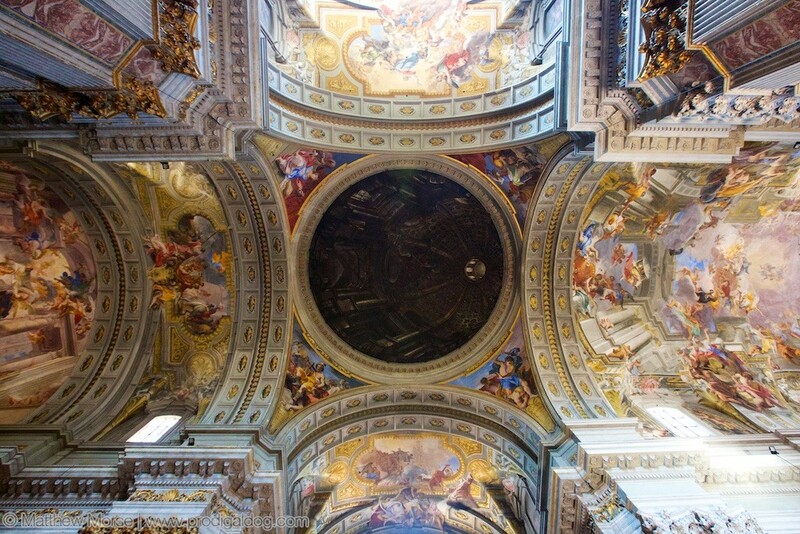 Believe it or not, the church in the photos above has no dome. 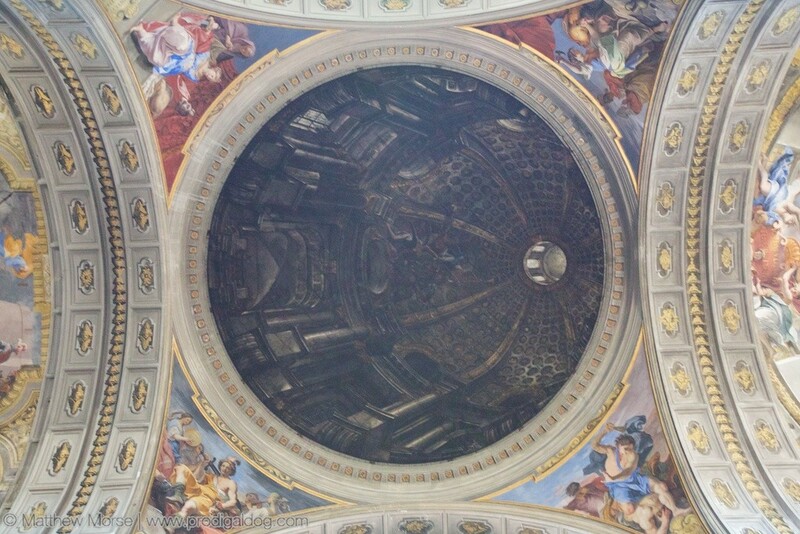 What looks like a dome is actually a flat surface that’s been painted with a perspective so it looks like a dome when you first walk in. As with most things, it would have fooled me if I hadn’t had a smarter (and more well-versed) guide to point it out to me [hat tip to Lindsey]. From this perspective and with a close-up zoom, the dome looks more two dimensional. He’s a closer look at that dome from standing directly under it with a zoom lens. From this perspective, it looks a little more two dimensional than it does from the entrance. Neat trick. Story goes that during construction, the church ran out of money to build a dome, so they hired a painter to create the effect of a dome, and he obviously did a great job. 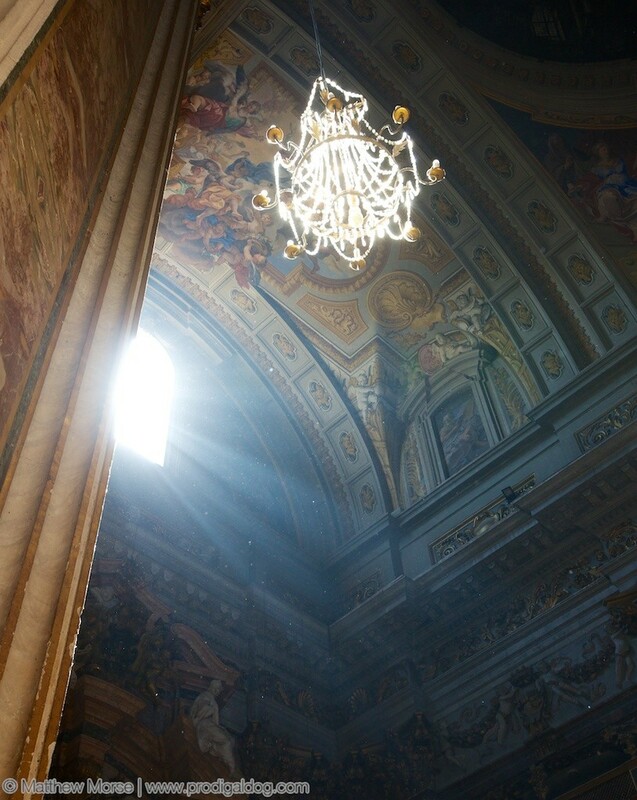 The rest of the church is, of course, equally stunning. I spent easily 5 minutes just taking photos of the way this light hit this one chandelier. The ceiling and architectural details are amazing as well. It’s impossible to take a bad photo in this place. If you are sightseeing in Rome, I highly recommend you add this to your list. It’s centrally located, easy to find, and — bonus for us with crowd phobias — is likely to be fairly empty, as few know about it. It was also cool and comfortable on a hot day. Stay tuned here for more posts on other places for great sightseeing in Rome, including, of course, its more well-known sites. 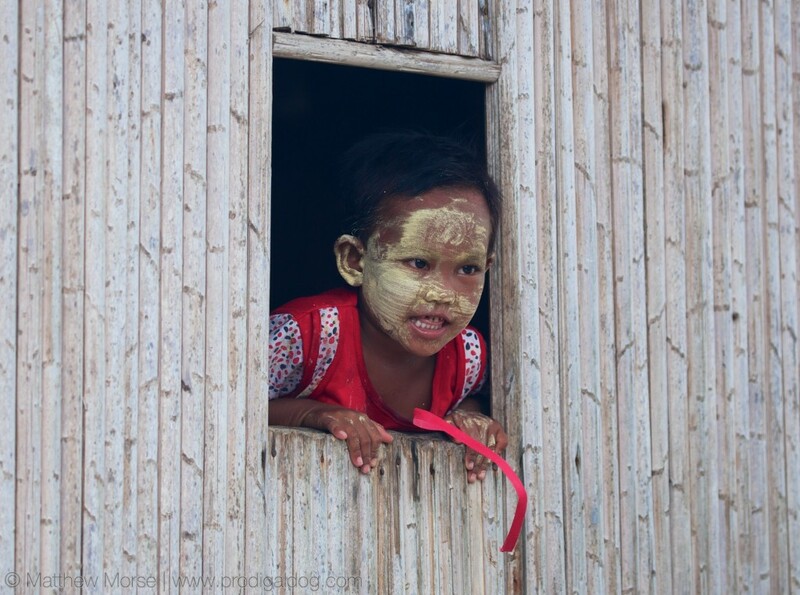 In the far southern tip of Burma, there lies a a span of remote islands largely untouched by the outside world. Known as the Mergui Archipelago, it consists of some 800 islands and is largely closed to outsiders. 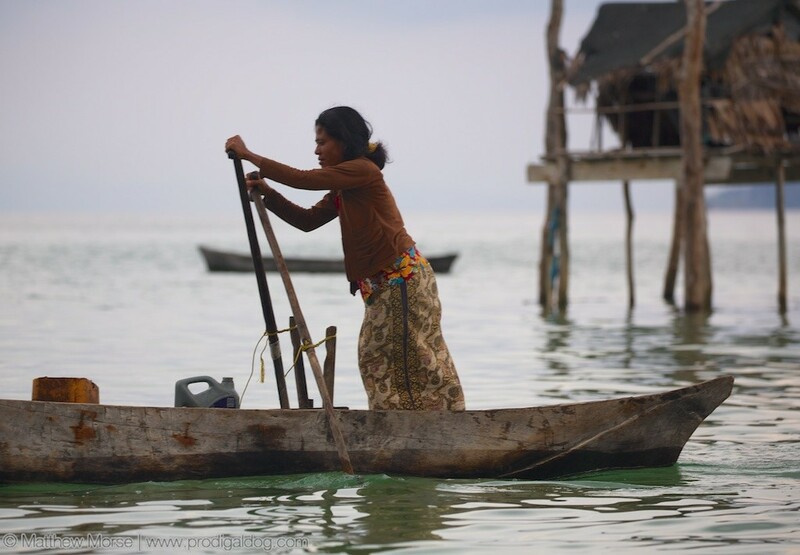 These islands are empty of outside development and unpopulated by all but one group: the Moken, also known as the sea gypsies. 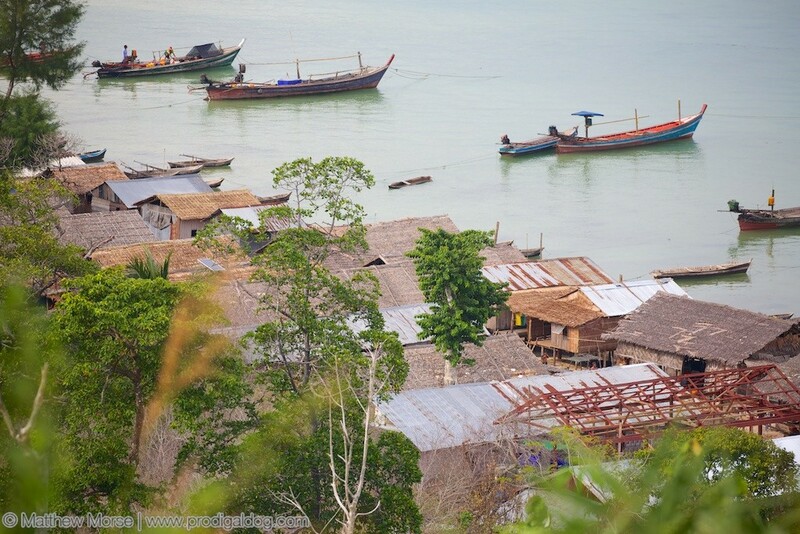 The Moken sea gypsies have lived in this region for centuries, historically traveling from island to island on live-aboard boats, occasionally making temporary huts. Moken men are known as some of the best free divers in the world, able to hold their breath for 5-8 minutes underwater while diving to catch fish. Some still follow the traditional, nomadic way of life — sailing from island to island on small boats as their ancestors did. Others have taken to living in small villages spread throughout the region. These towns allow children to attend school and give shelter and better care for the sick and elderly. Even here, however, you see few young men. They often set out on fishing trips for several days, or longer, as their ancestors did before them. If you’re going to live the life of a sea gypsy, you could not pick a more beautiful place to do it. Above and below are a couple of photos of the surrounding region — the color here hasn’t been altered; this is actually what these sunsets look like. 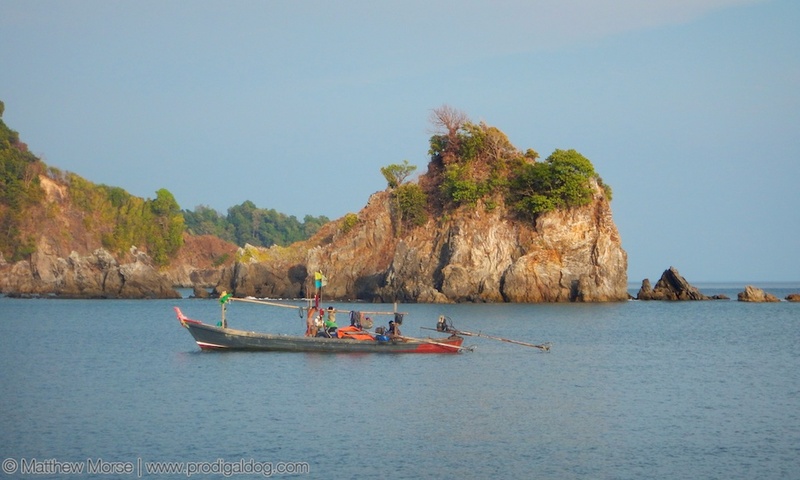 To get into the Mergui, you must first find a tour operator with a license to enter the archipelago. Then, upon entering, your tour operator obtains a permit for you and the Myanmar government closely checks the paperwork, then holds onto your passport during your time in the archipelago. If you do visit, you’re bound to see at least a few boats of the sea gypsies in your time there. 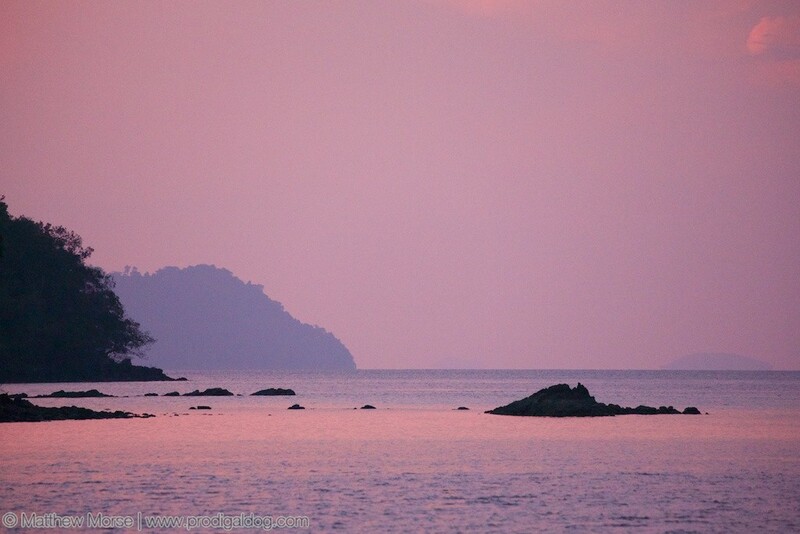 The best entry points for the Mergui Archipelago are Kawthaung, Myanmar and nearby Ranong, Thailand. 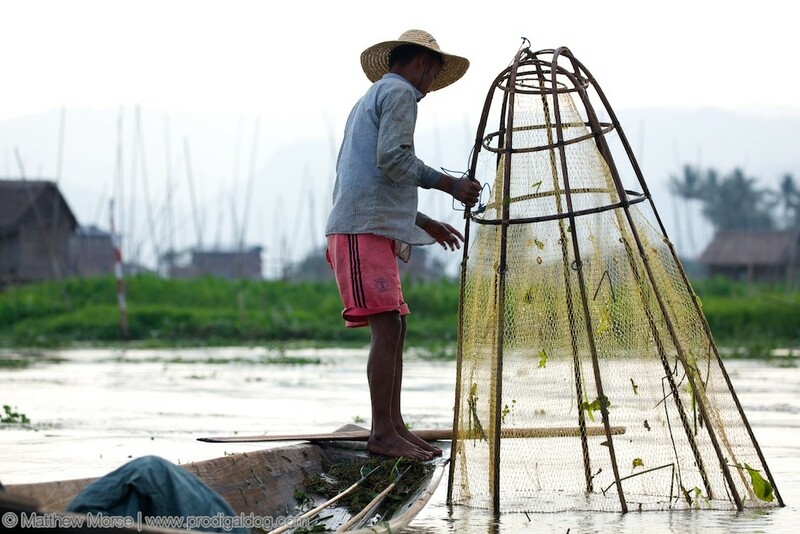 Inle Lake is unlike any place you have ever seen, in person or through photographs. Traditional leg rowing fishermen, floating gardens, hotels on stilts, and water taxis are the norm here, and although the lake draws plenty of tourists, you won’t find crowds or big tourist attractions. Far from the busy, modern cities of Yangon & Mandalay, and in a radically different microclimate, it is easy to feel like you’ve stepped into a distant world. Most people come here to see the lake and experience its unique people and culture. 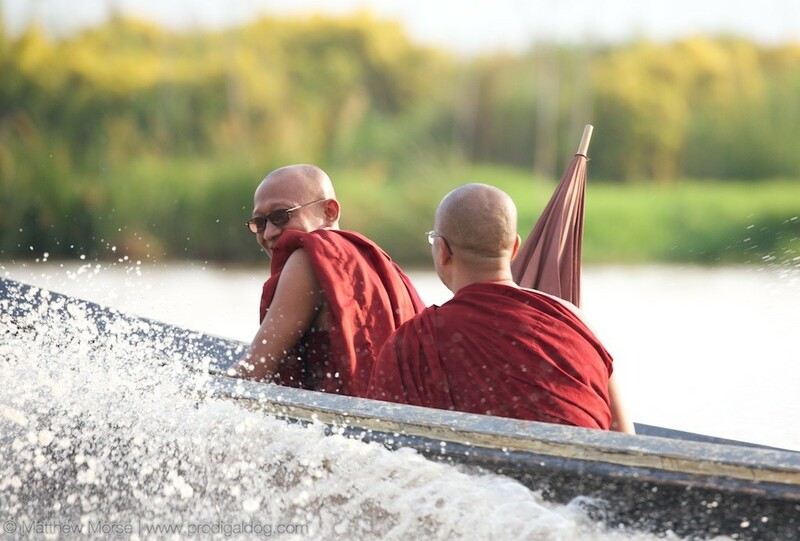 I never thought I would be “dusted” by a couple of monks on a motorboat! A couple of monks leave us in their dust. This was simultaneously awesome and extremely humbling, like getting passed by a 90 year old in a Cadillac on the highway because you’re driving too slowly. 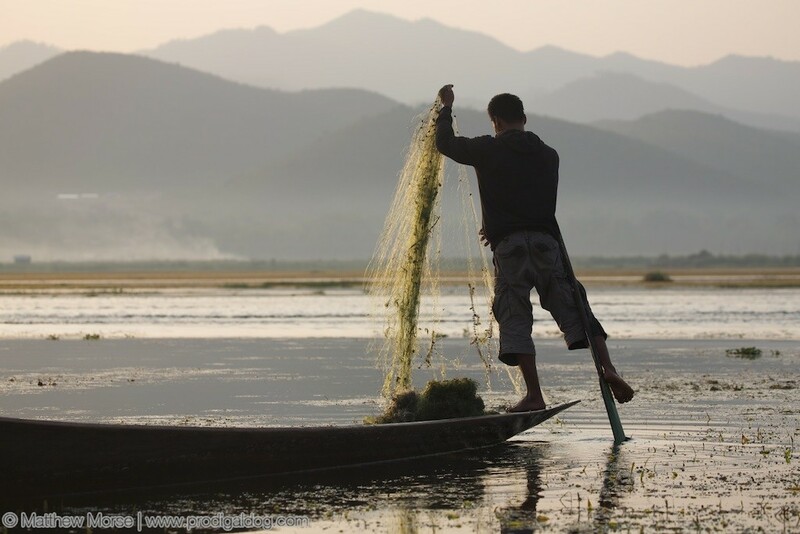 There are many ways to explore Inle, but the best is to stay on the lake itself. Once you get there, likely from Yangon or Mandalay, you find yourself in a water taxi to your destination. This was, by far, the most fascinating taxi I have ever been on. Monks, leg rowing fishermen, weavers, gardeners, and foreigners alike crisscross the lake on elegantly-shaped long tail boats. I never thought I would be “dusted” by a couple of monks on a motorboat! 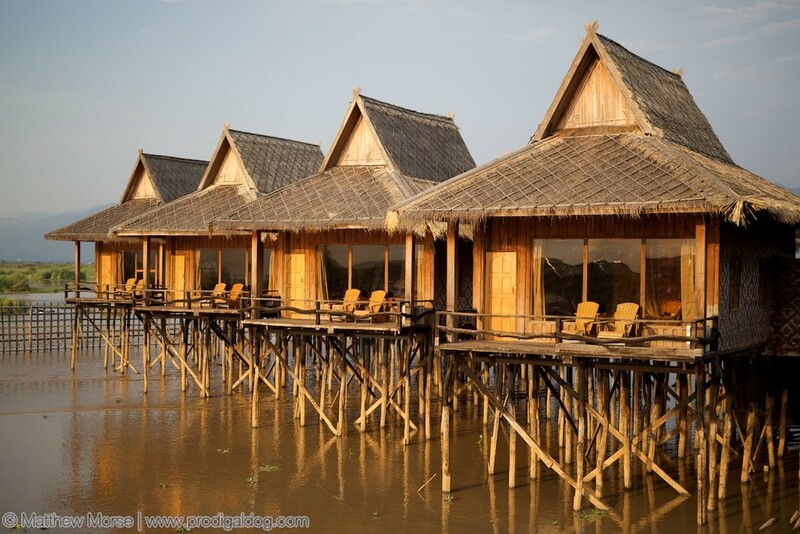 Most accommodations on Inle Lake take the form of “floating hotels”. Many of the accommodations on the lake are “floating hotels”, like ours pictured here. The only way in or out is via water taxi. As someone who loves water, but isn’t much of a beach-goer, this had the best of both worlds. The only downside is the locals hit the water with motorboats as early as 4am, which is about as tranquil as a runaway freight train, but you can’t have it all, right? 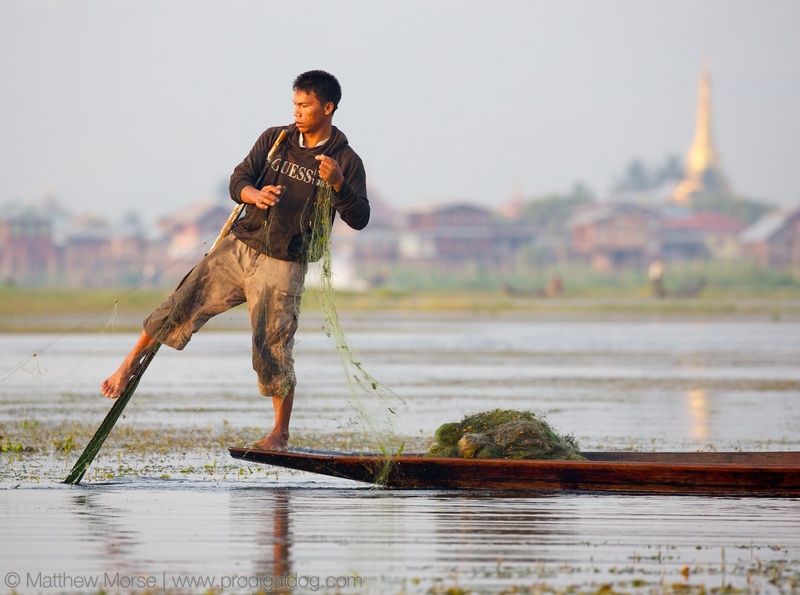 Inle Lake’s iconic leg rowing fisherman learn to balance on one leg, row with the other, and operate fishing equipment with both hands all at the same time. Our best experience while there was actually the least structured: hiring a water taxi to leave before sunrise so we could photograph nature and the iconic leg rowing fisherman as the day started. Most of my favorite photos were taken on this trip, including the featured image at the top of this post, were taken during this early outing. While there, we also took a tour of one of several local villages built on the lake. For us, this included the floating gardens, a trip to the monastery, and a tour of a lotus silk weaver — people in this region are well known for their textiles. There are several other cultural attractions depending on your interests. After a couple of days, it was time to move on to the next stop, which in this case involved an elephant sanctuary. 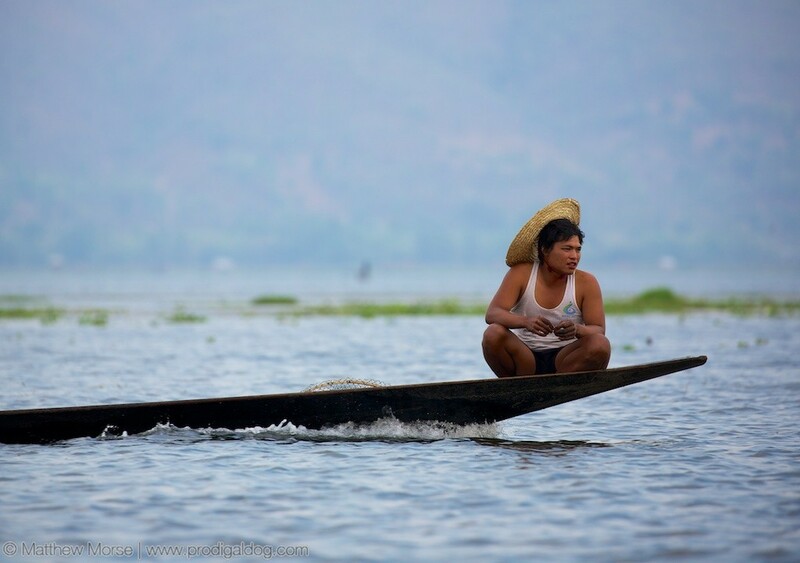 If you want to read more about Inle Lake, there is a separate post on how to get there. Not far from the enchanting Inle Lake is an unassuming dirt road leading back into the forest canopy. Follow it and you will find an oasis in remote Myanmar, but this refuge wasn’t built for humans — this is an elephant camp. This facility, called Green Hill Valley Elephant Camp, aims to provide a comfortable and safe habitat for freed and retired elephants. The result is one of the most amazing animal experiences imaginable. 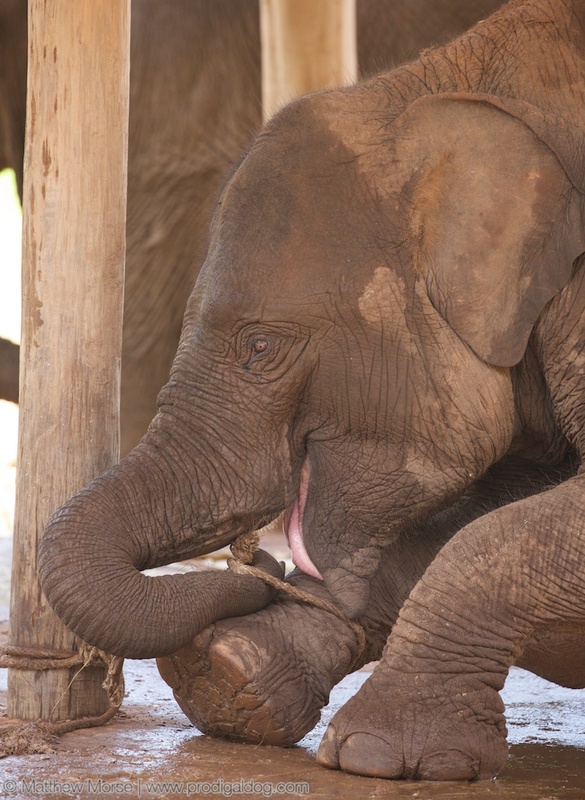 You start by feeding the elephants — there are never-ending baskets of melon and banana tree. What’s striking is how gentle the massive creatures are… They weigh as much as 10,000-11,000 pounds each but are as sweet as kittens. The first thing that struck me was how much complete freedom you’re given. 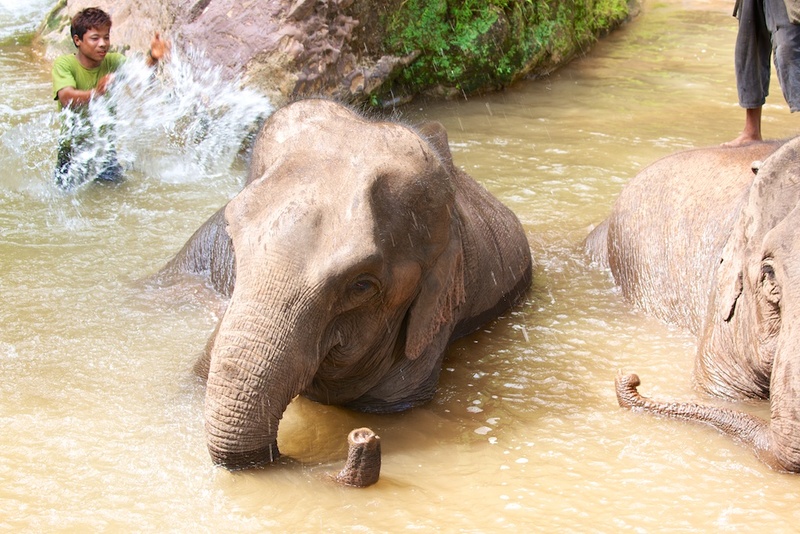 Throughout your stay, you may freely feed, wash, and eventually ride an elephant without anyone limiting your interaction. The second thing that struck me was “this place would be a liability nightmare in the US”, but not because it’s at all unsafe — you’re always surrounded by attentive staff and I never once felt unease. Regarding safety, you’ll also notice there aren’t any “tuskers” in the photos; that is, a male elephant with iconic ivory tusks. They do have one such bull on site, but our visit coincided with mating season, so he was separated far from the group, as the men tend to get temperamental. Washing and riding an elephant was honestly something I never thought I would do — it’s one of those things that wasn’t even on my bucket list for lack of imagination. It was incredible, and certainly makes you appreciate these creatures, and nature in general, even more. 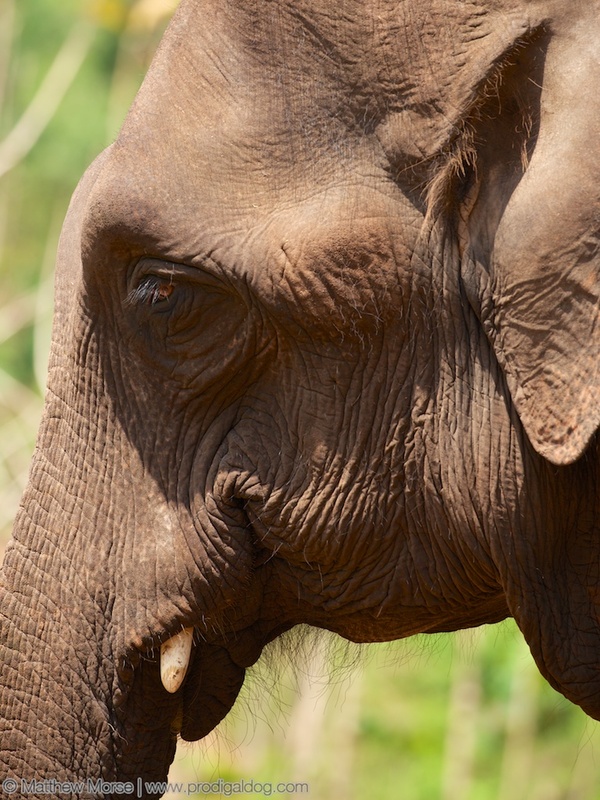 The forests of Myanmar are populated by as many as 5,000-8,000 wild Asian elephants, but all too often these wild elephants are captured and put to work in the timber industry, sometimes legally, sometimes illegally. This baby elephant was very precocious. He knew he was in the medical tent to get some vaccinations and was not happy that he was about to see the doctor! Green Hill Valley Elephant Camp is funded by tourism, which is a brilliant approach, as the experience is both educational and recreational. 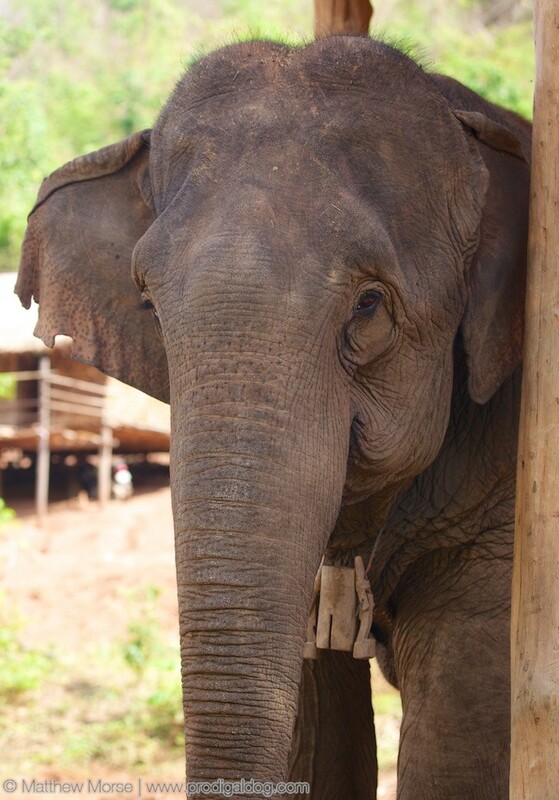 Each group of 2-3 people has the chance to sit down for tea with a mahout (elephant caretaker) to learn more about their elephants, what brought them here, and Asian elephants in general. You leave with more knowledge, excitement to tell as many people as you can, plus this great experience. 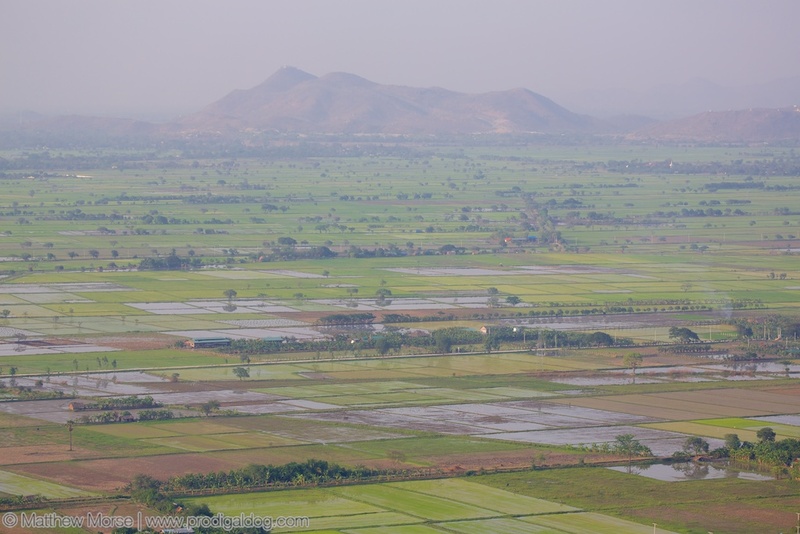 Although we were short on time and only stayed for a few hours, they offer overnight experiences as well, and are located near the amazing Inle Lake. 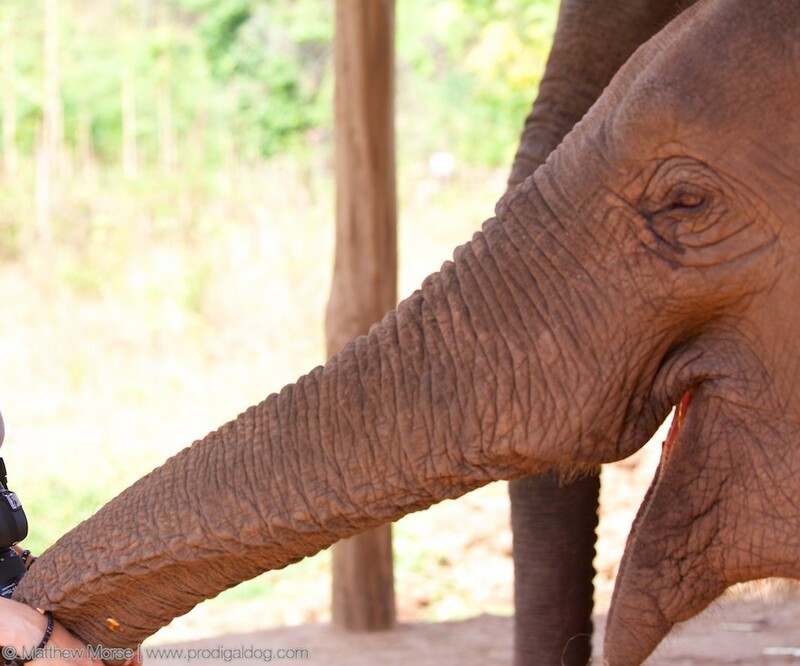 As a parting note, I should mention that the elephant camp aims to be ecologically friendly, so they grow a lot of their food on-site using renewable methods, thereby minimizing their environmental impact. Many staff are locally employed as well, with a goal of providing employment and economic opportunity for the surrounding town. 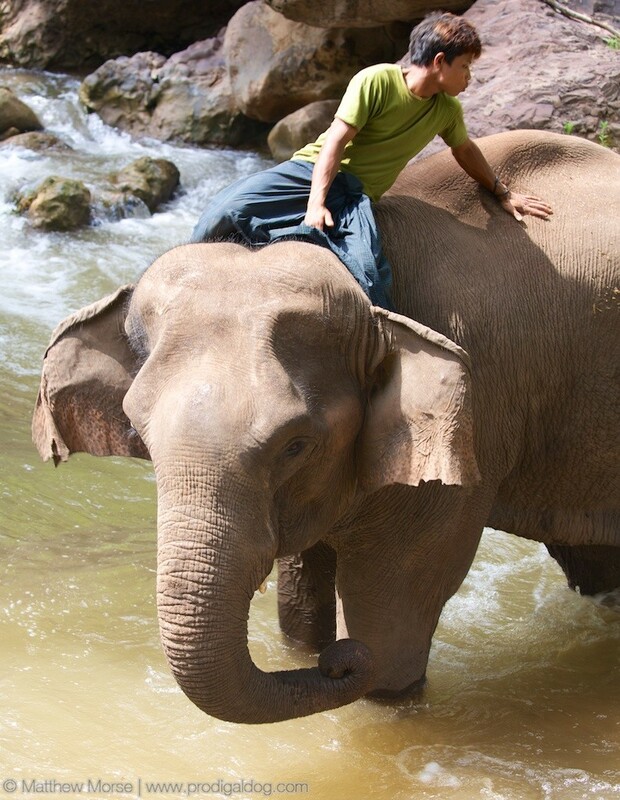 Finally, the elephant rides given are very short (about 5 minutes) and each elephant only gives a maximum of one or two per day. If you’re interested in getting there, I wrote a separate post on getting to the Inle Lake region. Before I visited Africa, I had no concept of how abundant or rare various species were. Would I see more monkeys than elephants? I honestly didn’t know and, even more, didn’t even give it that much thought. I just wanted to see animals! Monkeys are the pigeons of Africa… except pigeons don’t steal your backpacks, open your car doors, or climb the outside of your house to spy on you in the shower, but those are all another story. (And yes, as it turns out, you’ll see a lot more monkeys than elephants… Actually, you’ll see more monkeys than any other creature. Monkeys are the pigeons of Africa… except pigeons don’t steal your backpacks, open your car doors, or climb the outside of your house to spy on you in the shower, but those are all another story). To answer your question: Every time I saw one of these I had Hakuna Matata stuck in my head for the rest of the day. 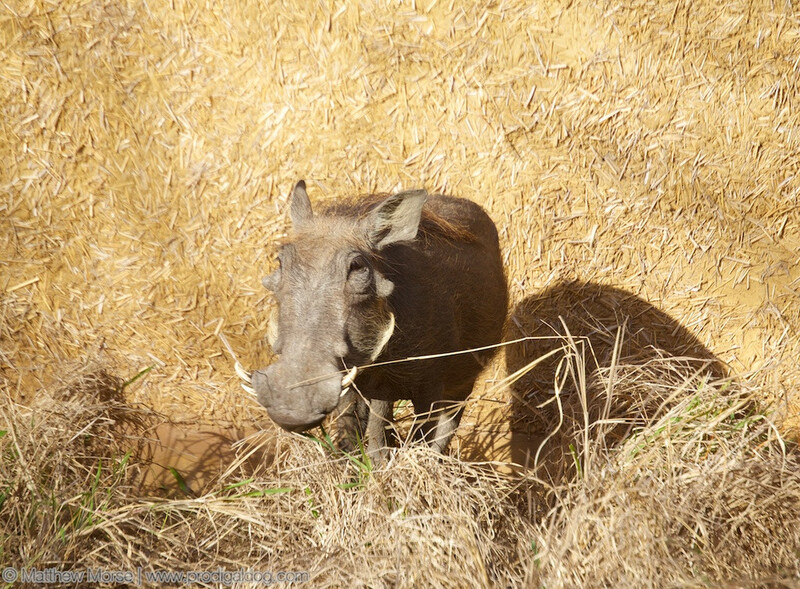 Once I set out on safari, I found some were abundant (warthogs, giraffes, and various relatives of deer are readily seen), while others (rhino, lions) were more rare or downright elusive (leopard). I also discovered the common shorthand for a checklist known to every safari-goer but me: the Big Five. These are the top five most popular and difficult to find animals and include: elephant, buffalo, lion, rhino, and leopard. 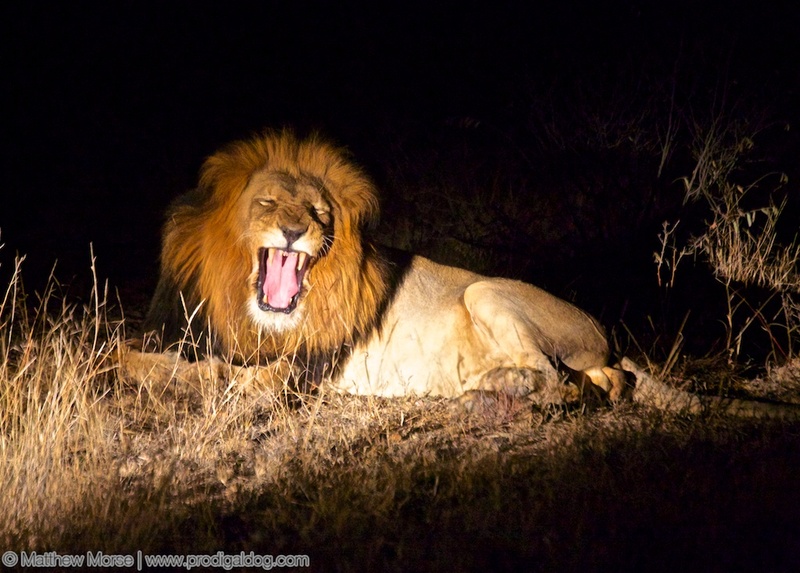 It’s considered a badge of honor (and good luck) to locate each of the Big Five during your time on safari. As someone with an unhealthy addiction to competition and completing lists, I was all about finding my Big Five. As I took this, he let out a thunderous roar… Okay, not really. He was actually just yawning. Although finding all five animals depends as much on luck as anything else, but there are a few things you can do to improve your chances of seeing all of them. 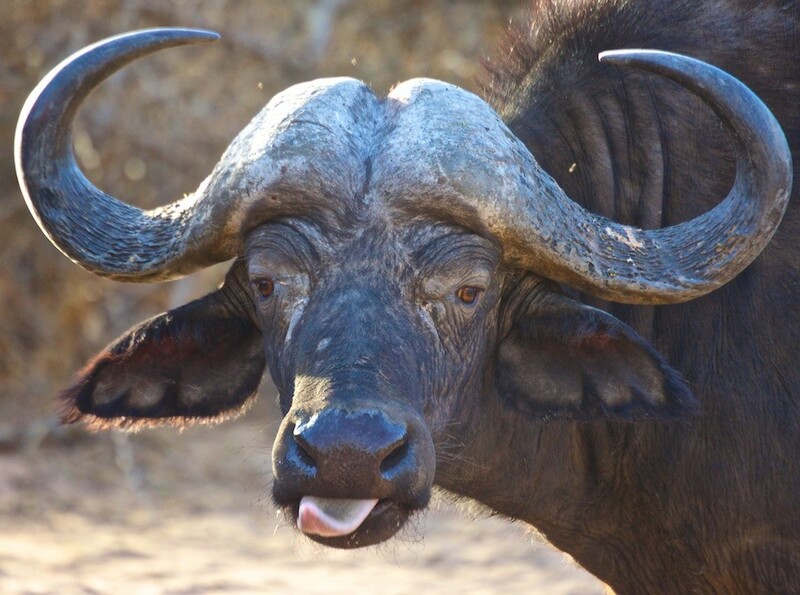 My first piece of advice is to visit what South Africans refer to as a private game reserve (fear not, despite its name it has nothing to do with hunting or casino gambling). 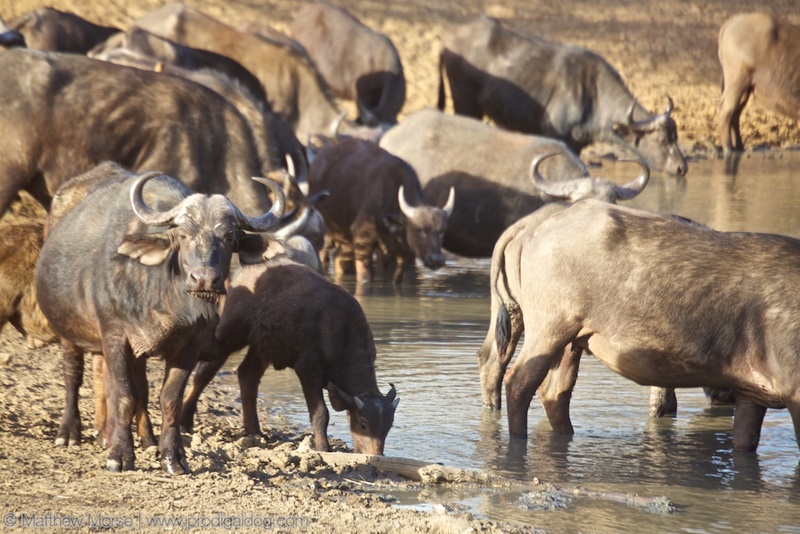 Private game reserves are best described as privately-operated enclaves of protected animals. All of them are huge and most border on existing government-owned parks, including the famous Kruger National Park. From most perspectives, private reserves are a win-win. Successful businesses are built around keeping the animals protected and well cared for in their natural habitats — most game reserves employ their own security forces against poaching as well as in-house veterinarians and rangers. 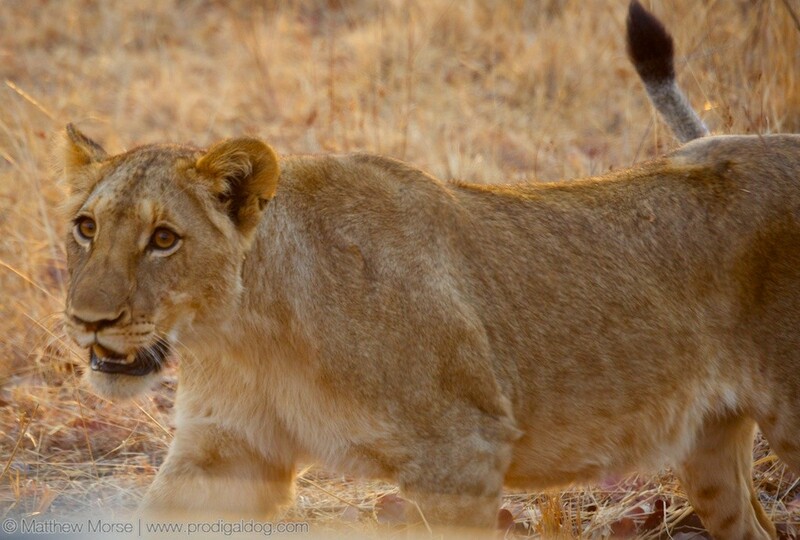 Our ranger got reports of this mother playing with her cubs and we were able to arrive in time catch them in action. When arriving at a game reserve, your group is assigned a ranger who is with you throughout your stay for each safari. As such, she or he will remember what animals you have and haven’t seen and will work hard to locate the animals you haven’t yet seen, especially near the end of your trip. Ours in particular was passionate — he sometimes seemed more intent on completing our Big Five than making it home alive. “I’m going to go wander into that bush to try to scare out the Leopard if he’s there, but you should stay in the vehicle to be safe!” That’s great, but you don’t have to orphan your children so we can see a cat. Really. That said, nothing beats the adventure of going out on your own, so I also recommend at least a day of driving through a park alone. I preferred doing this first, as you have a real sense of adventure when you roll into a park and see your first wild giraffe lumbering across the road. Buffalo, at least those in this crowd, tended to stare you down with a “What’re you lookin’ at?” attitude. Some additional pointers are making good friends with the park rangers and doing your homework in advance of a big trip. Park rangers are a wealth of information for a variety of reasons. Large elephants and rhino are poaching targets due to their horns, so even in large parks, rangers usually have a sense of where high-profile animals are located. Lions and leopards, on the other hand, have a fairly rigid territory, and here again rangers will have the best sense of what areas of the park are claimed/populated. Whether a particular ranger is willing to find out or share that with you will depend, but asking politely and when they aren’t busy is always a good start. Leopards are the most rare animals of the Big Five. Here, a mother supervises her cub. 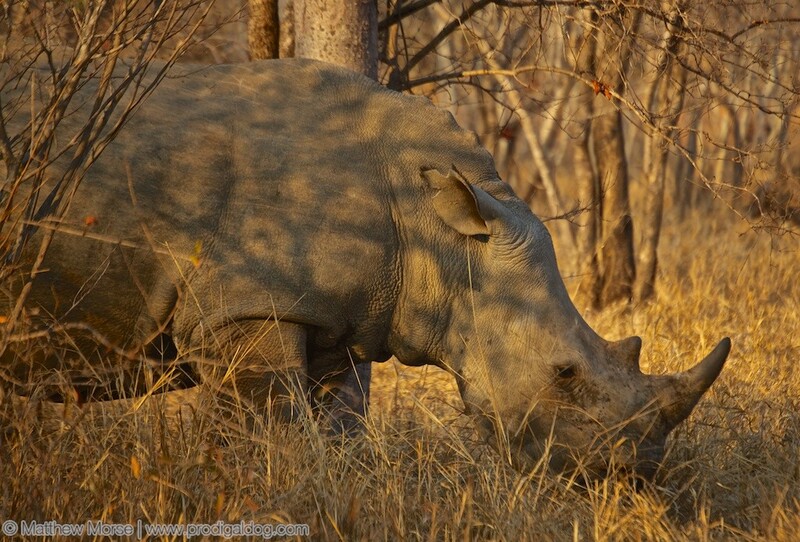 If are you particularly keen on finding a specific animal, it also helps to do some research in advance of your trip. 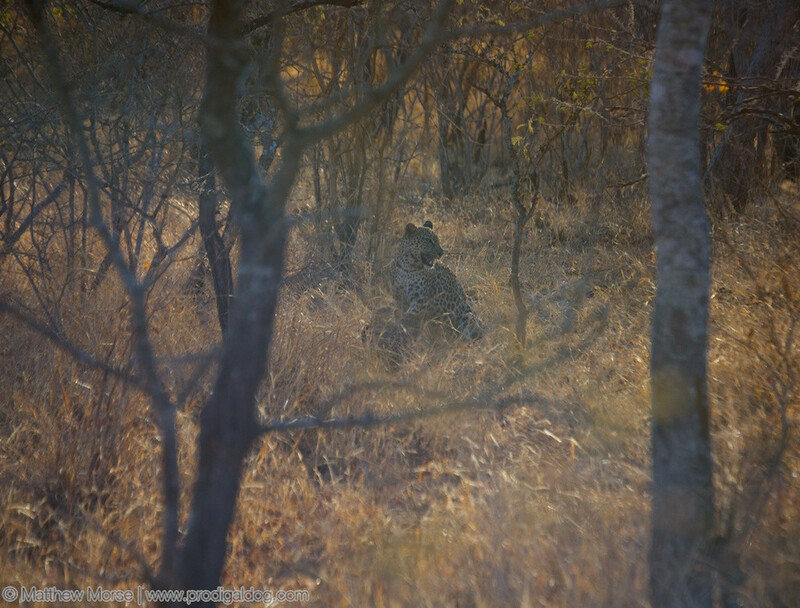 A quick search, for example, revealed this site that outlines a particular area of Kruger that has a high density of leopard territories and is accessible to tourists. Listening and asking fellow travelers helps as well, especially in areas such as communal restaurants and coffee shops within the parks… most people are there for the same reason you are! 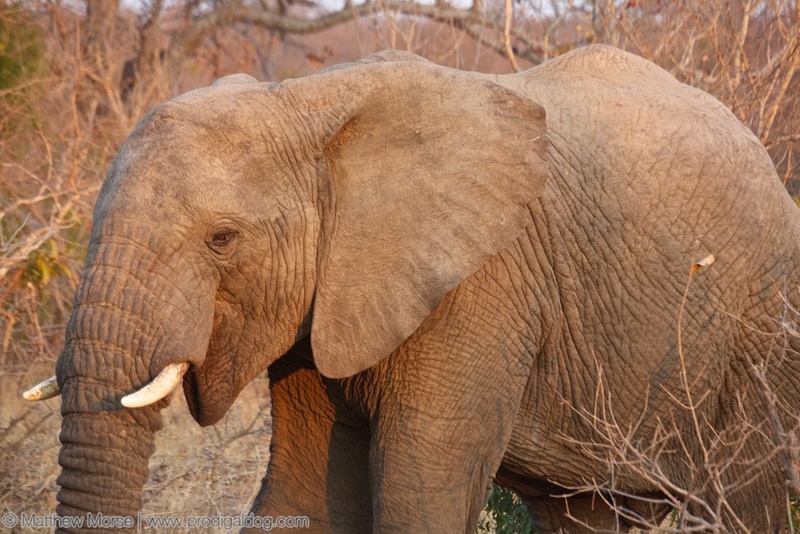 Thanks to some hard work and a lot of luck, my mother and I were lucky to have found each of the Big Five by the end of our safari, and we had the photos, stories, and sunburns to show for it. Imagine a beautiful lake untouched by hordes of tourists, where fisherman have learned to row with their legs in an iconic technique and floating gardens and houses form the periphery. Also imagine the most terrifying experience you’ve ever had in a motor vehicle, and that pretty much sums up my trip getting to Inle Lake. 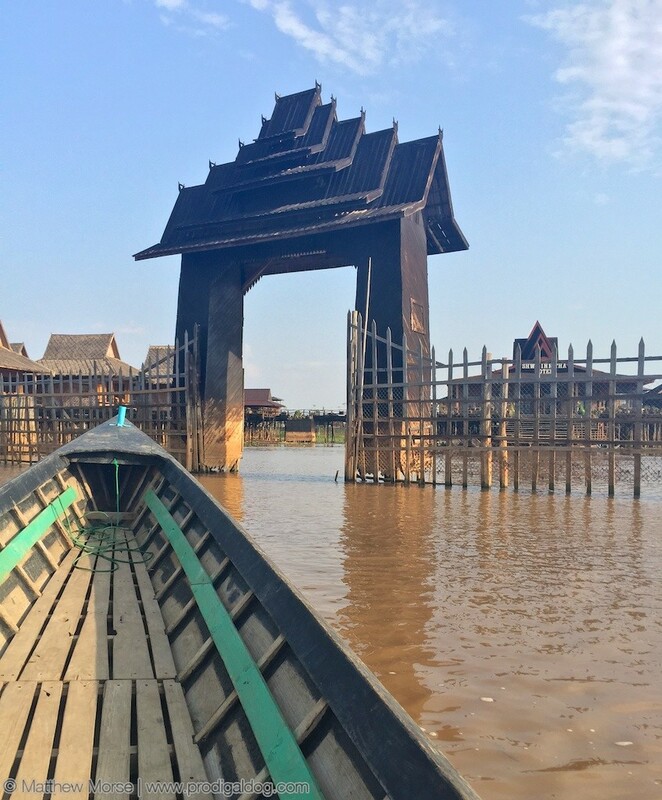 If you haven’t already read my experience at Inle Lake, click here, as that’s a good place to start so you know why I sought to visit this amazing place, otherwise read on for my journey to get there. 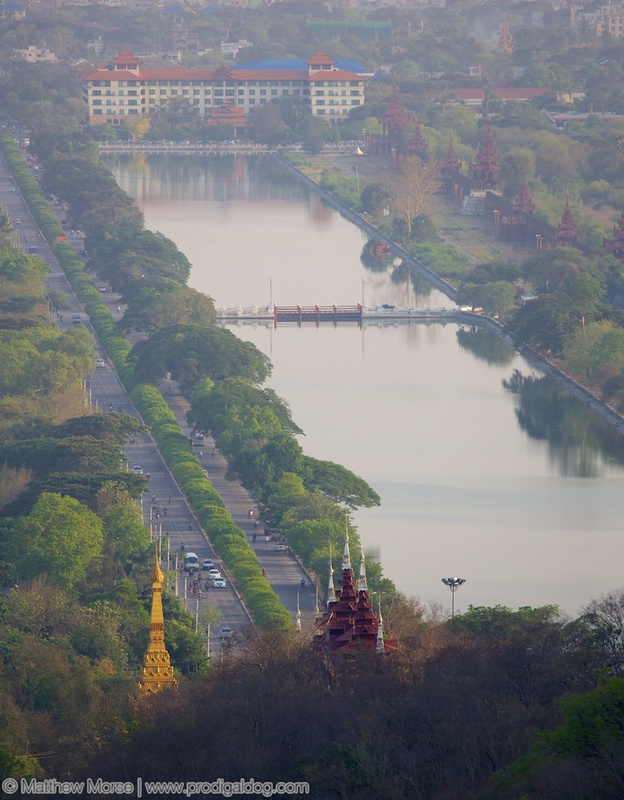 The area surrounding Mandalay is bucolic and stunning, but you’ll notice there aren’t any major highways. To reach Inle Lake, you first must understand infrastructure in Myanmar. There’s no easy way to get anywhere, at least not yet, so getting around is like trying to bring me to a shopping mall; it’s a lesson in patience and compromises, with periodic moments of sheer terror thrown in. In this case, I was arriving from Mandalay and departing to Yangon. To get there from Mandalay, the options were flying, bus, train, or car. Those are also possibilities going to/from Yangon, but any travel by ground would entail many, many hours, so we elected to fly. Given that, we decided to get to Inle Lake via car, a trip of about 6-7 hours. The train would taken much longer with an overnight in a small town, and the prospect of traveling a winding road in a bus loaded with people in 110 degree weather sounded like my own personal definition of hell. I don’t know if we made the right decision and, honestly, I don’t know if there is a right decision. The price was worth it (about $110 for the car and driver, and you can split that between as many friends as you have with you), but the journey was terrifying given Burmese road rules [or lack thereof], no guardrails on a tall mountain pass, and a noteworthy lack of seat belts. If I could do it all over, I’d insist on seat belts in the car when booking it. That said, when we asked our driver to help us access the seat belts (which had essentially been uninstalled and bolted under the seat), he cheerily replied “Ah yes! Ok, ok. It’s okay!” then proceeded to get back in the car and continue driving like a robber fleeing the scene of a crime. Our “floating hotel” on Inle Lake. 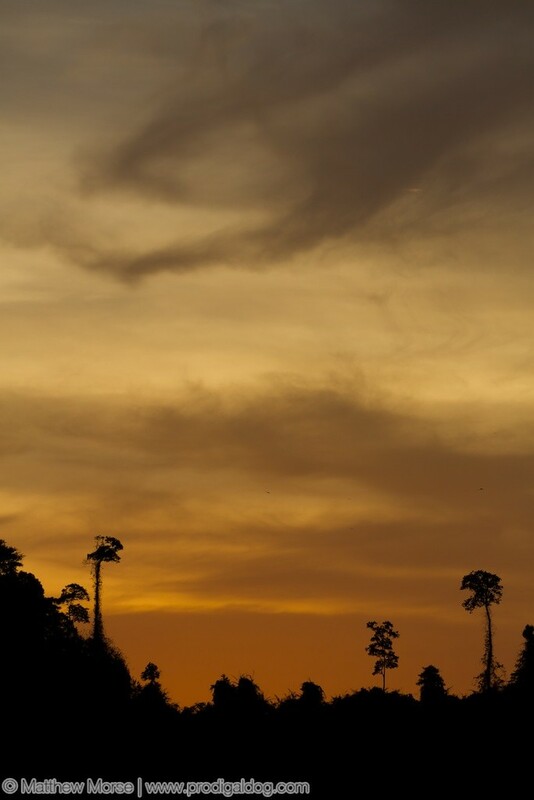 Once in Nyaungshwe, it’s easy to find a long-tail boat to take you to wherever you’re staying on the lake, or you can stay there for the night. The average time to a hotel on the lake varies from 30-60 minutes, depending on the hotel’s location. From my understanding, there are no other entry points to the lake, so regardless of where you’re staying, this is your starting point. Leaving was much easier than getting to Inle Lake. We spent the morning at a nearby elephant sanctuary, one of the my coolest experiences anywhere then flew from the nearest airport, Heho.